In a curious case of total environmental lawlessness, the monitoring report of the regional office of Union Ministry of Environment, Forests and Climate Change points out that although Tamil Nadu based Nibhi Industries Private Limited has been given environmental clearance (EC), the Environment Impact Assessment (EIA) report of company’s Bhojpur, Bihar based asbestos factory has not been provided to it. The reply to a RTI question by Bihar State Pollution Control Board (BSPCB) also informed that the EIA report is non-existent. The monitoring report points out that there has been no compliance with the specific conditions with regard to regular medical examination of the workers and health monitoring of all the employees shall be carried out and if cases of asbestosis are detected, necessary compensation shall be arranged under the existing laws. A competent occupational health physician shall be appointed to carry out medical surveillance. Occupational health of all the workers shall be monitored for lung function test, chest x-ray, sputum for acid-fast-bacilli (AFC) and asbestos body (AB), urine for sugar and albumen, blot tests for TLC, DLC, ESR, Hb and records maintained for at least 40 years from the beginning of the employment or 15 years after the retirement or cessation of employment whichever is later. Occupational Health Surveillance shall be carried out as per the directives of the Hon’ble Supreme Court.” The matter has been pending before Justice Shivaji Pandey Bench “for order” and has now been put before Justice Vikas Jain bench “for admission” in Patna High Court as per Court’s website. This act of omission reflected in the monitoring report is in violation of Supreme Court's order dated January 27, 1995 on right to health in general and against asbestos hazards in particular. This order has been reiterated on 21st January, 2011 by the Court. It has been referred to by Patna High Court as well in Civil Writ Jurisdiction Case No.9064 of 2013 and related cases. The company failed to provide any document on occupational health surveillance of the workers. Justice J.N. Singh of Patna High Court had apprehended a Bhopal Gas Tragedy like situation due to Bihar's asbestos plants. It wondered as to whether any pollution control board has or should have the power to relax the norms, meant to control environmental pollution and safeguard the humanity from health hazards and any recurrence of Bhopal Gas Tragedy. It expressed surprise at the relaxation for the two asbestos based manufacturing units of Tamil Nadu based Nibhi company at Giddha, Koilwar, Bhojpur and Tamil Nadu based Ramco company at Bihiya, Bhojpur in Bihar while cancelling the clearance of the asbestos based factory unit Vaishali’s Chaksultan Rampur Rajdhari near Panapur in Kanhauli Dhanraj Panchayat in Goraul block in Bihar which was proposed by West Bengal based Utkal Asbestos Limited (UAL). The monitoring committee’s report observes that Nibhi asbestos company was required “to educate the workers, all the work places where asbestos dust may cause a hazard shall be clearly indicated as a dust exposure area through the use of display signs which identifies the hazard and the associated health effects.” Given the fact that asbestos of all kinds is banned in some 60 countries due to its harmful effect, compliance with this condition is deemed important by the government. As per the monitoring report there is no compliance with this condition as well. It is noteworthy that prior to this the writ petition (CWJC) No. 15399 of 2016 has been listed continuously “for orders” on several occasions between 7 April, 2017 -23 August 2017 but was adjourned on each occasion. Now the case status on the Court’s website shows that the matter has been listed for orders before Justice Vikash Jain on 16 November and 24 November, 2017. Now both the cases have been put before a new bench of Justice Vikash Jain. Earlier, when the case came for hearing on 16 November, 2017, Justice Jain passed an order saying, “As prayed on the ground of non-availability of learned counsel for the petitioners, let the matter be listed on 24.11.2017.” It was scheduled to be listed on 24 November as per court’s website but it did not appear in the cause list. As of 27 January 2018, there is no information on High Court’s website about the next date of hearing. In view of such a situation, the second petition CWJC) No. 13269 of 2017 appears to be hunting for a convenient forum in an exercise of forum shopping. It appears that the Court has not paid attention to the glaring acts of omission and commission by the company endangering the life and health of the public health of residents of Koilwar, Bhojpur. The second petition in the High Court has prayed for issuance of a Writ of Certiorari, quashing/setting aside the order dated 29 March, 2016 issued by Chairman, BSPCB whereby the Board has revoked its Emission Consent Order and the Discharge Consent Order which was valid till 31 March, 2018. It further prays that the order of BSPCB dated 22 September, 2016 directing Nibhi Industries Private Limited “to close its industrial plant with immediate effect" to be quashed. It is noteworthy that in their counter affidavits in the first case, Department of Industries, Bihar and BSPCB have sought dismissal of the petition by Nibhi asbestos company on the ground of its maintainability. BSPCB has pointed out that the company has failed to appeal before the appellate authority within 30 days from the date of order. Had it approached the appellate authority and felt aggrieved by its decision, the company could have approached the National Green Tribunal. Thus, it is clear that the company failed to seek and exhaust available alternate remedy before approaching the High Court. In such a situation, while the Court is likely to dismiss both the petitions but the proclivity of the petitioner to delay the decision by non-appearance on the scheduled dates for orders has become a sight of curiosity. In such a backdrop, there appears to be a compelling logic for the Court and the concerned authorities to ask the company to undertake decontamination of the site and create a compensation fund for present and future victims of Nibhi’s factory given the fact that it has exposed the workers besides the villagers of Giddha panchayat in particular and Koilwar block in general to asbestos fibers. This is required in the interest of present and future generations, to establish rule of law in environmental governance and to set matters right on the ground. The clearance of second asbestos based factory in Bihiya, Bhojpur too has been cancelled but Ramco company continues to operate two units of its factory although it had clearance for only one. As a consequence of violations of the general and specific conditions given the environmental clearance and No Objection Certificate by Ramco Industries, BSPCB’s Chairman took its cognizance. He has issued an order saying, “I therefore, have no option but to treat this unit as a non-compliant industry and am not inclined to renew the Emission-Consent-Order and Discharge-Consent-Order for further period beyond 31.3.2016. The applications for Emission-Consent-Order and Discharge-Consent-Order dated 12.2.2016 are, accordingly, refused.” Both these cases demonstrate that there is no compliance with the six directions given in Supreme Court’s order of 27 January1995 on the ground which endangers the health of workers and the communities living in the vicinity by failing to ensure a safe working environment. Prior to Calcutta High Court’s verdict, Kerala State Human Rights Commission recommended ban on use of asbestos roofs for schools and hospitals by its order. National Human Rights Commission (NHRC) too has passed an order in Case No: 693/30/97-98 recommending that the asbestos sheets roofing should be replaced with roofing made up of some other material that would not be harmful. As per Directorate General of Commercial Intelligence and Statistics and Indian Bureau of Mines, there is continuous decline in import of asbestos during the period of 2014-15 to 2017-18 (April-September). India’s total asbestos import from Russia, Kazakhstan, Brazil, China and other countries dropped to 310,570 tonnes in 2016-17 from 396,470 tonne in 2014-15 and 355,660 tonnes in 2015-16. It shows that import of asbestos from countries like China, Russia, Kazakhstan and Brazil has declined in the last three financial years. India imported 310,570 tonnes of asbestos in 2016-17 from Russia, Kazakhstan, Brazil, China and other countries. During April-September of the ongoing fiscal, India imported just 162,740 tonnes of asbestos. This has been revealed by the Union Mines Minister in the Parliament. India has banned mining of its own asbestos mines but it chooses to import thousands of tones of asbestos. The inconsistency in government’s policy is apparent from the minister’s reply in the Parliament. environment, forests and climate change ministry states that “‘Alternatives to asbestos may be used to the extent possible and use of asbestos may be phased out.” . It is quite astounding that while “Grant of fresh mining leases and renewal of existing mining leases for Asbestos” has been banned by the Ministry of Mines in the country on Health Grounds , India continues to import asbestos. It shows that government has not translated its own vision into action. Union Ministry of Consumer Affairs is yet to make consumers aware of the hazards of asbestos to save the consumers from asbestos products. Ministry of Housing and Urban Affairs is yet to take remedial measures to by taking note of rampant presence of asbestos laden houses and buildings in cities and across the country. It is noteworthy that efforts are underway to make buildings of UNO free of hazardous asbestos. As part of $2.1 billion renovation work from 2008 to 2014, the amount of asbestos that was removed from the UN complex in New York City complex was enough to fill three football fields fifteen feet high. The Geneva headquarters of the UN is also going to become asbestos free after UN General Assembly in New York approved the renovation project for the Palais des Nations complex in Geneva. This complex hosts around 10,000 UN employees, which is more than the official headquarters in New York. The work has commenced this year and is estimated to cost $846.6 million. A report presented by the UN Report of the Secretary-General in July 2000 had undertaken the assessment of asbestos-containing materials at United Nations buildings located in Geneva, Vienna and Nairobi and at regional commission buildings in Addis Ababa, Bangkok, Beirut and Santiago and harmful effects of such materials on the health of staff members, delegates and other persons working in and visiting the buildings. 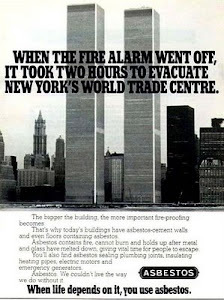 The ministry should order similar assessment for buildings in India. Similar efforts are required by urban development departments and urban local bodies to stop usage of asbestos in all the municipalities and in some 7, 935 urban centres. Union Ministry of Rural Development and Panchayati Raj is yet to apprise all the Panchayats to refrain from procurement of construction of asbestos cements sheets and other asbestos based products to ensure asbestos free villages. These days while India’s ministry of railways is rightly busy removing asbestos from railway platform across the country but one witnesses waste dump of broken roof sheets which is a design feature of every asbestos based product strewn around on the station and in nearby areas putting unsuspecting passengers and citizens at grave risk of exposure to the hazardous mineral fibers banned in some 60 countries. There is a compelling need to ensure barricading of the asbestos laden area to avoid any effect on passengers and locals in its surrounding. It must get a safety audit done so that only skilled and competent persons get employed for removing hazardous asbestos sheets. Asbestos abatement and removal must be carried out by a competent, approved asbestos removal contractor. Once the asbestos has been safely removed, there has to be certification of a clean air clearance. There must be a system for wrapping/disposal of removed sheets. The disposal of asbestos debris requires its proper scientific landfilling. The use of asbestos based products and technology carries continuing burden of harm throughout its life cycle. Union Ministry of Human Resource Development is yet to intervene to ensure asbestos free educational institutions. On 24 August, 2017, Constitutional Supreme Court of Brazil decided with 8 votes against 2 that the use of all kinds of asbestos is unconstitutional. The President of the Brazilian Supreme Court observed, “In concern of the environment, if any doubts, it must be prohibited so that the rights for us today and tomorrow won’t be lost for the ones that come after us.” Indian courts are yet to adopt this universally accepted precautionary principle and the inter-generational equity principle to save the public health of Indians like the Brazilian Court as far as implementation is concerned. India’s Supreme Court and High Courts have consistently expressed their serious concerns regarding exposure to these carcinogenic mineral fibers and has asked the central and state governments to update their laws as per fresh resolution of ILO, which has sought elimination of future use of white chrysotile asbestos to safeguard human health. But the governments in India have not complied with its directions so far. More than 60 countries including 1) Algeria, 2) Egypt, 3) Israel, 4) Mozambique, 5) Slovakia, 6) Argentina, 7) Estonia, 8) Italy, 9) Netherlands, 10) Slovenia, 11) Australia, 12) Finland, 13) Japan, 14) New Caledonia, 15) South Africa, 16) Austria, 17) France, 18) Jordan, 19) New Zealand, 20) Spain, 21) Bahrain, 22) Gabon, 23) South Korea, 24) Norway, 25) Sweden, 26) Belgium, 27) Germany, 28) Kuwait, 29) Oman, 30) Switzerland, 31) Brunei, 32) Gibraltar, 33) Latvia, 34) Poland, 35) Turkey, 36) Bulgaria, 37) Greece, 38) Lithuania, 39) Portugal, 40) United Kingdom, 41) Chile, 42) Honduras, 43) Luxembourg, 44) Qatar, 45) Uruguay, 46) Croatia, 47) Hungary, 48) Macedonia, 49) Romania, 50) Cyprus, 51) Iceland, 52) Malta, 53) Saudi Arabia, 54) Czech Republic, 55) Iraq, 56) Mauritius, 57) Serbia, 58) Denmark, 59) Ireland, 60) Monaco, 61) Nepal and 62) Seychelles have banned asbestos of all kinds because safe and controlled use of asbestos is not possible. Although mining of all kinds of asbestos is technically banned in India. According to Indian Minerals Yearbook published in December 2015 import of white asbestos from Russia, Kazakhstan, Brazil and China continues. It endangers the public health of present and future Indians. If the Supreme Court 23 year old verdict and it six directions are read in the light of the scientific, medical and legal findings at a global level a case emerges for banning the import of all kinds of asbestos by India because human biology is same world over. Given the fact that health is a state subject it is high time State Governments banned this hazardous mineral fiber to save the life and health of present and future generations of Indians. P.S. : Asbestos free India campaign of Ban Asbestos Network of India (BANI) has been working for environmental and occupational health justice for last 17 years. 1. Dr Raju asked whether it is a fact that the import of white asbestos from Russia, Kazakhstan, Brazil and China continues to rise according to Indian Minerals Yearbook published in December, 2015 despite technical ban on mining of all kinds of asbestos in India; (b) if so, the details thereof and the reasons therefor; (c) whether the Government proposes to curb imports of deadly material of asbestos; and (d) if so, the details thereof and if not, the reasons therefor?. The reply of Ministry of Mines did not disclose that Brazil’s Supreme Court has banned all kinds of asbestos to safeguard the health of Brazilians. On August 24, the constitutional Supreme Court of Brazil decided the production and the selling are unconstitutional. The president of the supreme court observed, 'In concern of the environment, if any doubts, it must be prohibited so that the rights for us today and tomorrow won't be lost for the ones that come after us.' It held that the extraction, processing, use and marketing of all forms of asbestos, including white chrysotile asbestos violate the Brazilian federal constitution. 2. With regard to question “whether the Government proposes to curb imports of deadly material of asbestos, Ministry of Mines replied saying, "Information in this regard is not held in Ministry of Mines since the import/export of minerals is regulated through EXIM policy of Directorate General of Foreign Trade, Ministry of Commerce and Industry." Ministry of Mines did not inform the Parliament that the 19 page long Vision Statement on Environment and Human Health of the environment ministry states: ‘Alternatives to asbestos may be used to the extent possible and use of asbestos may be phased out’. The relevant URL of Vision Statement on Environment and Human Health is available atwww.envfor.nic.in/sites/default/files/visenvhealth.pdf . It is noteworthy that International Agency for Research on Cancer (IARC) reconfirmed that all commercial asbestos fibers - including chrysotile, the most commercially used form of asbestos - cause lung cancer and mesothelioma. In addition, IARC newly confirmed that there is sufficient evidence that asbestos causes ovarian cancer and reconfirmed asbestos causes laryngeal cancer. World Health Organization estimates that asbestos claims 107,000 lives a year. Even this conservative estimate means that every five minutes a person dies of asbestos related disease. Asbestos of all kinds is banned in some 60 countries, including the European Union and Japan, Brazil. The Judicial Inquiry Commission headed by Justice J C Shah, a former chief Justice of India appointed by Government of India in 1977 to inquire into all the excesses committed during the period of Emergency (1975 - 77) noted in its report that during Emergency, the ruling party and its acolytes had proposed to put the opposition leaders in jails which had asbestos roofs. The recent estimate is that asbestos causes 194,000 occupational deaths globally every year. It did not factor in the fact that as Union Health Minister Smt. Sushma Swaraj informed Rajya Sabha that "Studies by the National Institute of Occupational Health, Ahmedabad, have shown that long-term exposure to any type of asbestos can lead to the development of asbestosis, lung cancer and mesothelioma'' on August 18, 2003. It did not inform the Parliament that some 60 countries have imposed total ban on all kinds of “asbestos” products because the current health risks associated with the use of “asbestos” are not acceptable, “controlled use” is not possible. (Reference: www.cma.ca/cmaj/vol-164/issue-4/0489). It did not inform the Parliament about the notification of Union Ministry of Labour and Employment dated January 23, 2012 constituting an Advisory Committee of 13 members to prevent exposure to asbestos by the workers in pursuance of the judgment of Hon’ble Supreme Court. There are four terms of reference (TOR) of this Advisory Committee. Two of these TORs deal with ‘ILO guidelines’ and ‘fresh resolution passed by ILO”. The reply does not recognize that the ‘fresh resolution passed by ILO’ refers to the above mentioned June 2006 resolution. In January 2012, Union Ministry of Labour set up this Advisory Committee to implement Supreme Court order issued 17 years ago since International Labour Organization (ILO) has also made certain specific directions vide its Resolution of 2006 introducing a ban on all mining, manufacture, recycling and use of all forms of asbestos. 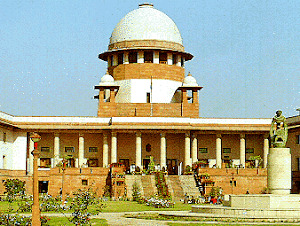 In compliance of the six specific direction with the order of Hon’ble Supreme Court dated January 27, 1995 in the Writ Petition (Civil) N. 206 of 1986 to maintain the health record of every worker up to minimum period of 40 years from the beginning of the employment for 15 years after the retirement or cessation whichever is later. Hon’ble Court directed the Union and state governments in the Consumer Education and Research Centre (CERC) vs Union of India case “to review the standards of permissible exposure limit value of fibre… in tune with the international standards reducing the permissible limit”. It did not share details which Dr. R.B. Raidas, Deputy Director General, Directorate General of Factory Advice Service & Labour Institutes. (DGFASLI) has revealed saying 36 out of 1000 workers have been found to be suffering from asbestos related diseases. He revealed that DGFASLI had studied some 8, 000 workers and found that some 228 workers were exposed. But he expressed his ignorance about whether they have been compensated. He shared this information at the 3-day International Meet on Climate, The Workplace and the Lungs”. Dr H N Saiyed, former Director, National Institute of Occupational Health (NIOH), Ahmedabad stated that paying compensation to the victims of asbestos related diseases is a long process. He added, asbestos does not have a threshold limit. The best way to stop the diseases is to stop its use. Politicians are hiding behind absence of data which is not being collected. He shared this at the conference. This conference was organized by Maulana Azad Medical College, New Delhi organised by Centre for Occupational and Environmental Health in partnership with Drexel University, School of Public Health, Collegium Ramazzini, Ministry of Environment & Forests, Ministry of Labour and Employment, Government of India and Heart of England, NHS Foundation Trust in December 2012. It did not reveal that ghe government agencies like Directorate General, Factory Advice Service and Labour Institutes (DGFASLI) took note of Prevalence of Asbestosis and Related Disorders in an Asbestos Fiber Processing Unit in West Bengal as early as in 1996. It is noteworthy that Labour and Employment Department, Government of Gujarat has submitted that “Asbestosis is declared as notifiable occupational diseases in Third Schedule under section 89 and 90 of the Factories Act. The workers working in the registered factories are eligible for compensation either under the Employees Compensation Act, 1923 or under the Employees State Insurance Act.” It has revealed that “22 workers of Gujarat Composite Ltd, Kaligam, Ahmedabad, who were suspected victims of asbestosis were sent for medical check-up to National Institute of Occupational Health. 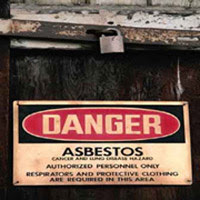 Out of them, following two workers were confirmed for Asbestosis by N.I.O.H. : (1) Shri Hazarilal Manraj and (2) Shri Sahejram B Yadav.” It has disclosed that “Letters dated 24/12/2002, 16/10/2006 and 19/1/2007 were issued to the Gujarat Composite Ltd. to pay compensation of Rs 1 lac to the above two victims as per the direction of the Supreme Court. Gujarat Composite Ltd. has denied to pay compensation to the above workers as the company has challenged the report of N.I.O.H.” It may be noted that Gujarat Composite Ltd (formerly named Digvijay Cement Company) appears to be attempting to hide behind myriad corporate veils by changing names and by outsourcing its work (to agencies like Apurva Vinimay and Infrastructure Division). It did not inform the Parliament that “Government of India is considering the ban on use of chrysotile asbestos in India to protect the workers and the general population against primary and secondary exposure to Chrysotile form of Asbestos” as per concept paper presented by Government of India at the two-day 5th India-EU Joint Seminar on “Occupational Safety and Health” during 19-20 September, 2011. It did not take note of the fact that Dow Chemicals Company, USA has set aside $2.2 billion in compensation fund to address future asbestos-related liabilities arising out of acquisition of Union Carbide Corporation and its Indian investments in 1999. Many manufacturers of asbestos-containing products have gone bankrupt in USA as a result of asbestos litigation. Union Ministry of Labour, Government of India should also set up a compensation fund to provide compensation to the asbestos victims of past exposure by making asbestos based companies liable for knowingly exposing workers, consumers and citizens to asbestos fibers. It did not inform the Parliament about compensation fund for victims of asbestos related diseases which are incurable but preventable diseases like lung cancer, mesothelioma and asbestosis. But the ministry did not disclose to the Parliament the contradictory position of the Government of India on asbestos given the fact that while the mining of asbestos has been technically banned by the government, but it allows its import and that even from the countries which do not prefer its domestic use. Is it the case that our own asbestos is scientifically established as poisonous but the foreign asbestos is non-asbestos? This kind of scientific position makes India a laughing stock in the comity of nations. In view of the above ministry's attention has been drawn towards the judgment in the asbestos case filed by the Consumer Education & Research Centre (CERC) (Verdict is available at: http://indiankanoon.org/doc/1657323/), Hon’ble Supreme Court of India directed all asbestos factories to keep the health records of their workers for 40 years and/or 15 years after their retirement. The environmental clearance conditions impose a duty on the asbestos factories to keep health record of workers but these conditions of environment ministry are routinely violated with impunity. Hon’ble Court has also directed that a compensation of Rs 1 lakh be paid to the asbestos victims. While India imports white chrysotile asbestos from countries like Russia, Brazil, Zimbabwe, Kazakhstan and others, the fact is that Brazilian Supreme Court has banned use of asbestos and declared it as unconstitutional. It is relevant to note that Europe has officially admitted that 15,000 people die per year (40/day) due to asbestos related diseases. All forms of asbestos cause asbestosis, pleural plaques/fibrosis, lung cancer, larynx and ovarian cancer, mesothelioma among workers and consumers. Further, also increased risks of gastrointestinal cancer and nonHodgkin lymphoma have been reported in asbestos workers. Given the fact that human biology is same across the globes no government can assume that Indians are immune to asbestos related diseases and deaths. Unsound science has been put to use to deny compensation claims of people with asbestos-related diseases. 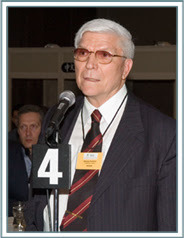 Nature, the reputed science journal (Vol.468, 16 December, 2010 issue) observed, “Asbestos scandal Irresponsible policies could cause an epidemic of malignant lung disease. The minerals industry has long tried to convince regulators that white asbestos - or chrysotile - is safe when handled properly. It argues that only the already controlled forms - blue and brown asbestos, known collectively as amphibole - are of concern. To support this, industry advocates point to scientific data and studies. Yet although the relevant literature is a mire of conflicting results, this should not be seen as an endorsement of their position. Rather, it reflects a string of industry-sponsored studies designed only to cast doubt on the clear links between chrysotile and lung disease. 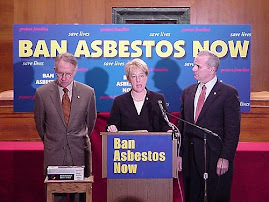 These are familiar tactics and several countries, including Britain, have seen through them and made the correct decision to ban all forms of asbestos, all of which have been proven to be carcinogenic in humans.” (http://www.eesc.europa.eu/resources/docs/xaver_baur.pdf) Similar situation exists in India. It may be recalled that Navy officials objected to presence of asbestos in aircraft carrier Admiral Gorshkov which was inducted into the Indian Navy as INS Vikramaditya after asbestos decontamination. Union of India’s Budget 2011-12 had made reference to asbestos related diseases by including it under the Rashtriya Swasthya Bima Yojana to cover ‘unorganized sector workers in hazardous mining and associated industries like asbestos etc”. While on a visit to New Delhi, Dr Alec Farquhar as Managing Director, Occupational Health Clinics for Ontario Workers, Canada said, “We now have around 500 asbestos cancer cases every year in Ontario from a population of 13 million. If you (India) continue on your current path, you will multiply our death count by 100 times. That would be 50, 000 Indian workers dying every year from asbestos. In Ontario, we learned that safe use of asbestos is impossible. I urge you from the bottom of my heart, please do not make the same mistake as we made in Canada. Stop using asbestos and use a safe alternative.” It is clear that lack of documentation and lack of environmental and occupational health infrastructure does not mean lack of victims of asbestos related diseases. The verdict of five judges of Japan’s Supreme Court of February 17, 2015 that has upheld a ruling that found asbestos used at a plant of Kubota Corporation caused fatal mesothelioma in a man who lived near the plant and ordered the company to pay ¥31.9 million in damages to his relatives. The petitioners were relatives of Kojiro Yamauchi, who died at age 80 after working for two decades about 200 meters from the Kubota plant in Amagasaki, Hyogo Prefecture. His relatives and those of Ayako Yasui, who died at age 85 having lived about 1 km from the plant, sought damages from both Kubota and the government. In October, 2014 the Supreme Court ruled that the government was responsible for failing to protect workers from exposure at asbestos factories in Sennan, Osaka Prefecture. Reference: http://www.japantimes.co.jp/news/2015/02/19/national/crime-legal/top-court-upholds-kubotas-liability-in-asbestos-death-case/#.VO3inSw8RkQ It is noteworthy that Japan has banned asbestos of all kinds including white chrysotile asbestos. Meanwhile, our neighbor Nepal has become the first country in South Asia which going in the direction of banning asbestos. There are fibre substitutes that have been evaluated by WHO are listed in the Summary Consensus Report of WHO Workshop on Mechanisms of Fibre Carcinogenesis and Assessment of Chrysotile Asbestos Substitutes. It has been noted that sooner or later, the asbestos industry will go bankrupt in India because they will have to pay huge amount of money in compensation. For every legal injury in the law there is a legal remedy. The ministry ought to make sure that victims of asbestos related diseases get at least monetary compensation as remedy. The asbestos industry must be persuaded to phase out in two phases. In the first phase the goal should be to eliminate use of chrysotile asbestos and to prepare a register of the number of exposed workers and consumers in the country. In the second phase, the goal should be to create incentives for the use of safer materials, ensure, create a registry of asbestos laden buildings and victims of asbestos-related diseases and ensure decontamination of the former and compensation for the latter. There is an immediate need to conduct an audit of the current status of the victims of asbestos related diseases from the government hospital records in the country and make it mandatory for medical colleges to provide training for doctors so that they can diagnose diseases caused by occupational, non-occupational and environmental exposures to killer fibers and substances. India should not allow itself to be misled by asbestos producers like Russia in this regard now that Canada has rightly stopped mining of white chrysotile asbestos almost like India due its “deleterious” impact on health. It should learn from Brazil and South Africa who are members of BRICS and not from Russia and China.